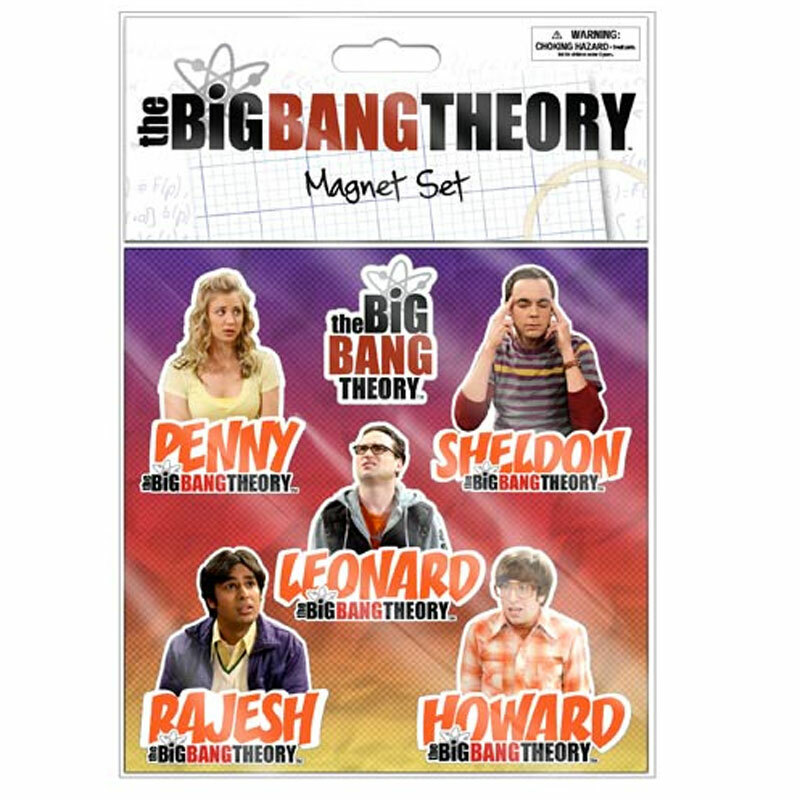 This set of 5 Big Bang Theory Magnets will set you and your housemates on a competitive streak. Everyone will be choosing their favorite character Magnet and which will hold the highest importance on the fridge. Something tells me the Sheldon Magnet's going to be the hardest Magnet to shake. Feature: - (5) 2" tall, flat Magnets per package.